Until public transit officials make our dream of commuting to work by rollercoaster a reality, we’ll have to settle for the adrenaline rush of traditional pick-me-ups. Percolate perkiness with today’s deal for coffee and more from your friendly neighborhood café – Café Coffee Day. 1. Visit Offer Page on Groupon : Click here. 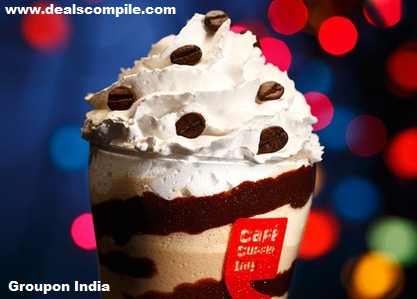 -Voucher is valid at all cafes except CCD lounges, CCD square, other discounted and -corporate cafes.